Former Nigerian/Kansas City Wiz defender Uche Okafor died late yesterday. During his career, he made 31 appearances including roles on two World Cup squads for Nigeria as well as 109 appearances for the Kansas City Wiz during his career. Since his retirement, he had taken up coaching youth soccer in a Dallas suburb where he coached until his passing. I definitely remember Uche Okafor for the original KC Wiz. Huge central defender, from 1994 and 1998 Nigeria World Cup teams. He played every game for Nigeria's 1994 African Nations Cup winning team. Powerful tackler. 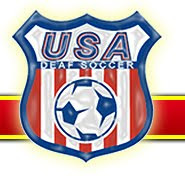 I have a very distinctive memory of a 5-1 KC over DC United game in 1996 (DCU's Richie Williams was red carded early for a handball on the goal line). DC's lone goal came on a crazy one on one breakaway by Tony Sanneh against Uche Okafor. If those two collided, the stadium would have collapsed or something. I also gave Uche Okafor my "Man of the Match" scarf in a 1996 loss to Tampa Bay, I still have his picture with it around here somewhere. It was the only Man of the Match award he got the entire season. A quiet but efficient player. I also remember that he had a baby girl at home back then, and the news reports say that his daughter (who is probably about 14 or 15 years old now) was at school on January 6 when this whole sad thing happened. My condolences to his family. Uche Okafor was 43 years old.